We are proud of our friendly, welcoming and nurturing ethos, which is underpinned by Christian values and beliefs. At St Mary’s children enjoy a creative curriculum and opportunities to be actively involved in the life and journey of our school. Our school motto is, ‘Believe and Achieve’ which we live up to. St Mary’s is an inclusive school and through strong team work with parents/carers, children, staff, governors, our Parish churches including St Marys Church on Upper Street, and outside agencies we work to ensure all children reach their full potential in a safe, calm and empowering environment. Care, guidance and support are strong at St Mary’s, so children are enthusiastic learners who have a mature attitude to their work. We have high expectations for punctuality and attendance and reinforce positive and appropriate behaviour across the school. We expect our school community to be positive role models. Our school environment includes a Reception garden and playground, a vegetable garden, pond, and a large playground. The school is arranged around a covered courtyard that provides additional teaching space, reflection area and a library. There are many opportunities for parents to visit and communicate with the school through parent consultations, meet the teacher meetings, parents’ workshops, learning with the children days, assemblies, weekly newsletters, class newsletters, coffee mornings, and our Friends of St Mary’s (Parent Teacher Association), plus a wide spread of events. If you are an Islington resident and your child is due to start reception class in September 2017. You will need to apply for a place for your child. You must apply for a school place using an Islington application form, even if you are applying for a place in another local authority. If you do not live in Islington, you must apply using your home local authority’s form (i.e. the council to whom you pay your council tax). You can apply from 1 September 2016, and you must apply by the deadline, 15 January 2017. We recommend you apply by 12 January 2017, just in case there are any problems with getting online or logging into the site. 17 May 2017: you must send in any appeals by this date. You can appeal even if you’ve accepted the school place offered. Firstly, read the Islington primary school admissions brochure for step-by-step guidance. You can view or download the primary admissions brochure by clicking on the link below. Please read the brochure carefully as some schools (church schools) require you to complete a supplementary information form. Once you have read the brochure and you have decided which schools you would like to apply for, click on the following link which will take you through the online application process. Go to www.islington.gov.uk/admissions to view the Primary brochure and apply online. We welcome you to visit our school, we also hold regular Reception morning visits, including a school tour led by the Headteacher. Please ring the school office for further information and dates of the school tours. We look forward to meeting you. 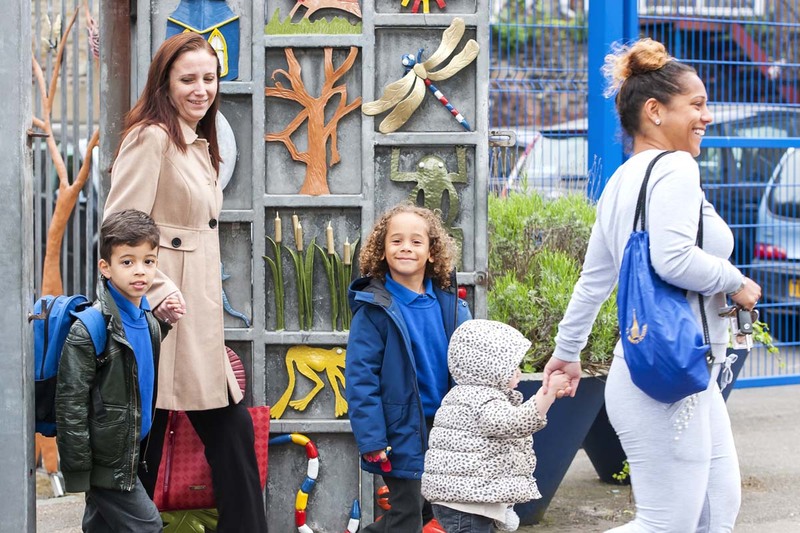 If you wish to apply for an Islington school, or are an Islington resident applying for a school place and your child is not starting reception class or year seven in September, please complete our online in-year application form. Firstly, read the relevant Islington schools brochure for information on Islington Schools. You can view or download these brochures by scrolling down to the related documents section at the bottom of this page. Please read the brochures carefully as some schools (church schools) require you to complete a supplementary information form. Please find attached the determined Admission Arrangements (2019/2020) for St Mary’s Islington Church of England Primary School, N1 2EP.